Articles Speakers CornerDo you find supermarket offers misleading? Do you find supermarket offers misleading? Around four in ten of all products sold in supermarkets are on some kind of special offer as retailers fight for custom. But are what are perceived as bargains, really designed to save us money or spend more than we intended to? Research has found that many multi-buy, 3-for-2 or buy-one-get-one-free offers are actually more expensive for shoppers. Whatever happened to transparent, simple, pricing on everyday products, so that at a glance you can see how much something costs, and not be tempted to over-buy on a product and ultimately waste it? Well hopefully, with some recently approved new legislation, things are about to change! Sainsburys has announced it would scrap the vast majority of multi-buy deals by August, with special offers on confectionary, crisps and other “unhealthy” snacks being phased out sooner. The supermarket giant said multi-buys are “out-of-step” with today’s shoppers, whose main priorities are cuting back on waste and staying healthy. Tesco is moving away from buy-one-get-one-free deals in favour of price cuts on single items, in a bid to become more like its fast-growing competitors, Aldi and Lidl. However Ocado is the only major UK grocer to have increased its multi-buy promotions (by 5%) over the last 12 months. What are your views? 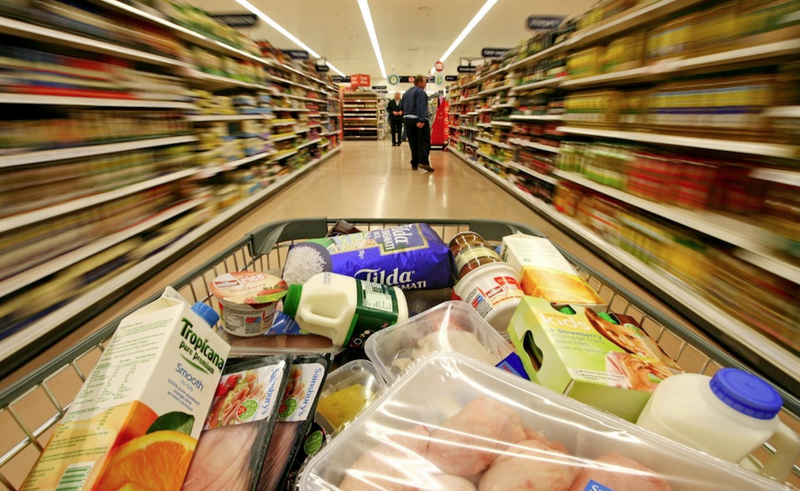 With many of the bigger supermarkets implementing change, have you noticed less offers yet? Can you easily calculate what is a genuine value for money saving and what is a rip-off? Would you rather buy something for half the price that to get an item free? It is a science now,[ how to baffle shoppers ] done with smoke and mirrors. Presumably there is a university diploma course on how to deceive in the nicest possible manner. Why should loose vegetables be shown as one weight and bagged items be shown as a different weight -ie decimal and imperial ? Deception at its best !!! Which packet did you end up buying pls? The offers make it difficult to compare prices. Also the price war means that you have to be aware and have to find time to visit different stores. The problem is if you live outside of a town, you can spend more on fuel travelling to different stores to try and find a bargain! Are toilet rolls shorter in length? No matter which brand we use we seem to be using a lot more rolls.Toilet humour aside I'm not sure what anyone else thinks but It certainly adds to the cost of my shopping. If you have the time it is worth shopping around. Unstoppable for the washing machine £5 Asda £2.99 B&M Bargains. How can a small chain afford to charge so much less? Yes Pam1960. I'm sure you're right. I find this with other items as well. I'm guessing it's so they don't have to put the prises up and up, they are just giving us less for our money. Bars of chocolate are smaller. I have even noticed some bottles and jars now have an indent in the bottom so it looks as though you are getting the same but there is less in them. Also you have to be careful where some products are smaller than usual. I saw a pack of butter at 200g yesterday when usually it's 250g. That's a 20% reduction in weight. So it was just a con not a deal. I thought fancy wrapper, smaller weight, they are trying to make you think it's better quality. Rubbish, English butter is all the same, it does the job. I've tried more expensive brands, but why waste money. Too right Wilf, I feel sorry for busy people who don't have the time or inclination to realise they are being fooled. If the prices have to be increased it should be done fairly and openly. I think the root of the problem is that there are too too many shops, our world has become too commercialised with the sole goal of making big money. Or as in the case of some big retailers, losing big money and closing down. I think the owners have lost sight of real values and it's the farmers and producers who suffer. I feel sorry for the hundreds of jobs lost in the cause of greed. If it's a product you buy regularly, it can take a few weeks before you realise they have reduced the size but it remains the same price. I shop at several shops and look at the offers carefully. I ask myself, is it really a good deal, did I really need it, will I use it. Similarly, the store vouchers where you get, say, 10% discount if you spend £30. Tempting but I can probably save a lot more by simply shopping elsewhere. Simple Maths. When shopping you've no time to stop and think if it's a bargain,especially when you have children with you.Personally I don't buy, buy one get one free,because nobody gives you something for nothing. No, I can see through their offers and only pick the genuine bargains. No really. I must say I find most supermarkets food very cheap especially Lidl and Aldi and both of them have great quality products. I cannot believe that you can buy things like packets of walnuts in Lidl at 3rd the price of M&S. Just shows how we are being ripped off but then there is freedom of choice in the UK. Its the farmers I worry about are they getting the right prices for their products? I suspect not! Yes its stupid. If they want to discount just show a discount! Loaf of bread £1.50 special deal today £1.25...then the customer could compare. Its all a ripoff! Ahhhh! So that explains it! I can't believe how many offers there are on Ocado, and I really find it too confusing to try and work out how much I am saving or frighteningly wasting! I would so much prefer to have buy one for half price than get an extra one for free, and see my weekly shopping price reduce!